Good hand washing discipline is important for kids to learn, especially when they start going to the toilet on their own. 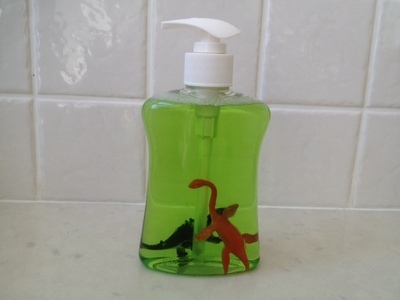 Here's a quick easy way to make hand washing much more fun! 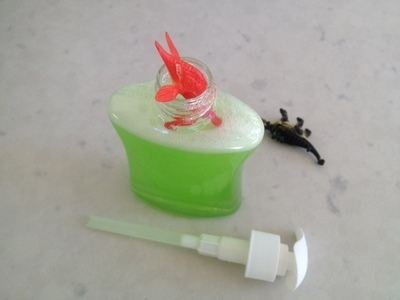 Check the size and shape of the bottle first to check that the plastic creatures will fit through the top! Remove the labels on the soap pump. 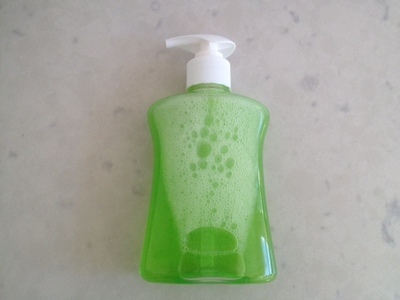 You might need to soak the bottle in some hot soapy water or rub a little diluted eucalyptus oil over the outside to remove any sticky marks left by the labels. 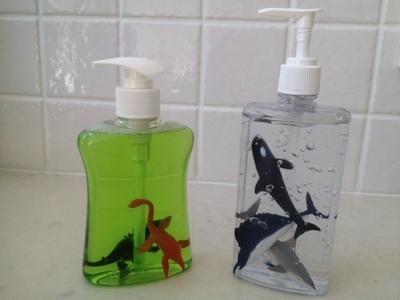 Unscrew the pump and add the plastic animals. Rescrew the pump back on. Your fun gel is now ready to use! 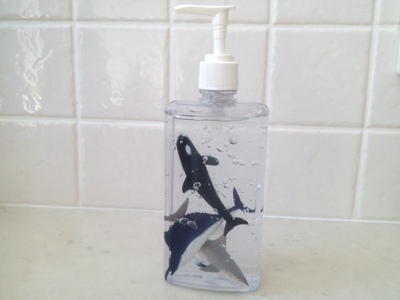 How about trying sharks in the shower gel, bugs in the bubble bath or whales in the washing up liquid? 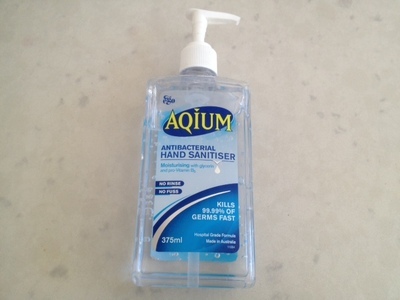 We like to have a pump bottle of no-rinse hand sanitiser handy for use before meals, in the car or when camping. 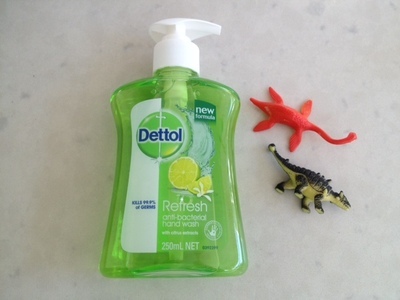 If you liked this, check out MyKidCraft to learn how to mould your own stegosaurus soap. This idea is great I can't wait to try it!